Origin: Native to Asia, but introduced into Florida in the early 1980’s, where it has spread widely in the state, as well as into Georgia. It is believed it is capable of surviving in virtually all coastal states on both the east and west coasts. 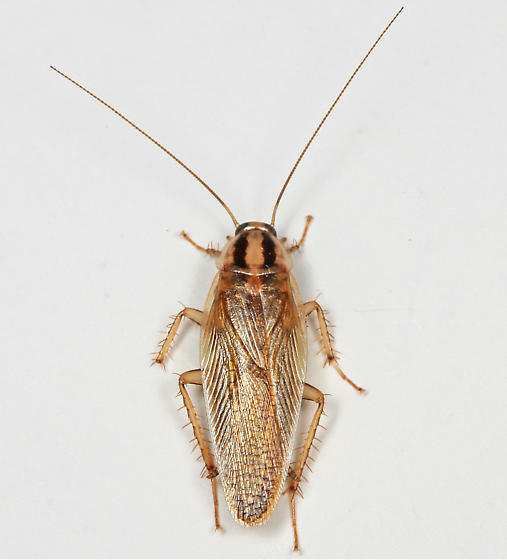 Biology: This is primarily an outdoor roach species that looks very similar to the German roach. It differs in that it flies readily and is attracted to lights and light-colored surfaces. Outdoors it may breed in huge numbers, and readily invades structures as well, although it generally does not breed within a structure. Outdoors it can be very common in shaded areas of thick vegetation, such as wooded areas or thick grassy habitats. There are estimates of up to 100,000 individuals per acre being found. 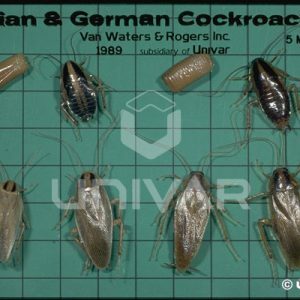 Identification: The Asian roach is almost identical to the German roach, and except for the difference in its habits it cannot be positively identified on appearance along without the help of an expert. In general it has slightly longer, narrower wings than the German roach, and the wings are long enough in the female that they actually cover the egg case that she carries. 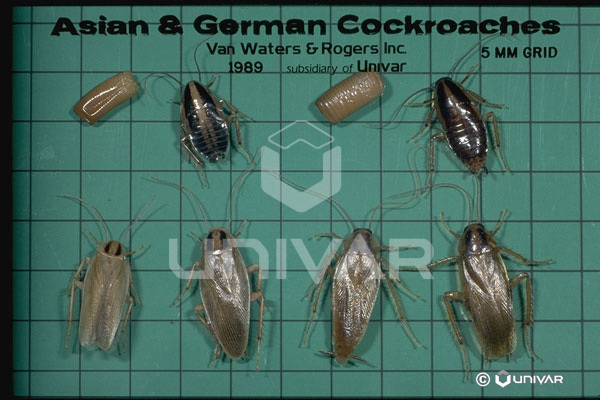 The pronotum appears to be relatively shorter on the Asian roach. It has the same two longitudinal dark stripes on the prothorax that are typical of the genus Blattella, along with the tan to light brown coloration. Characteristics Important in Control: Control efforts with pesticides will have limited results, since the roaches often originate in wooded or grassy areas beyond the customer’s property where treatments cannot be made. They may fly well over 100 feet in a single flight, coming to structures and the lights on them, easily bypassing chemical barrier treatments. Reduction of harborage sites and elimination of attractive lighting are encouraged.